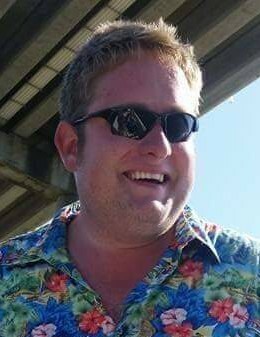 Gregory Alexander Leslie, beloved son, big brother, grandson, and friend, passed away in a tragic accident at the age of 31 on November 9, 2018. He is preceeded in death by his paternal grandparents, Claude and Gena Leslie, his maternal grandfather Jerome Powers, many friends, and his cherished dog, "littlegirl" Roxy. He leaves behind his parents, Warren and Sandra Leslie of Cary, NC; his younger sister Arianne Leslie of Durham, NC; grandmother Betty Powers of Clio, MI; a special coworker, Rick; his dog, Chanel; as well as his aunts, uncles, cousins, and many well loved friends and neighbors. Greg was a social butterfly who made friends quick and kept them. He was rarely found without company and known best for an infectious laugh and always having a smile on his face. He loved surf fishing, beach vacations, playing darts, riding dirtbikes, and teasing his sister. The world has suffered an immense loss with Greg no longer in it and the gravity of that will be felt for many years to come. A celebration of Greg's life will be held on Friday, November 30th from 5-8pm at the Lake Johnson Waterfront Conference Center located at 4601 Avent Ferry Road, Raleigh, NC 27606. Funeral services entrusted to R.M. Ferguson Funeral Service.